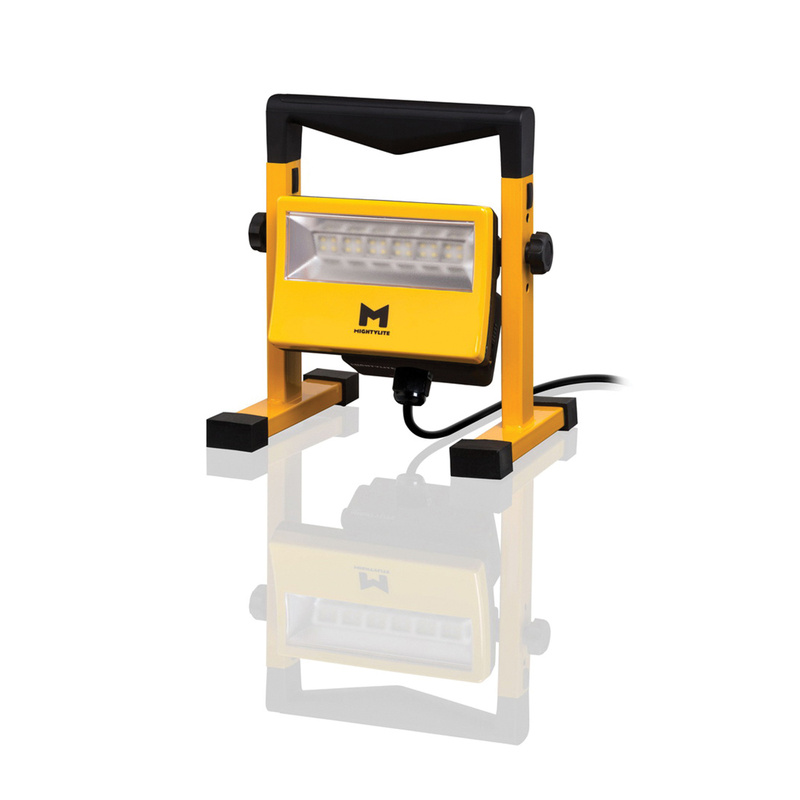 Mightylite 28-Watt Heavy-duty portable LED mains flood light in yellow color, features clear lens and tough polycarbonate/aluminum casing. This H-stand mountable light in rectangular shape, uses 24 bright Epistar LED lamps that have voltage rating of 110-Volts. Lamp in the light has 5700K color temperature rating, less than 80% efficiency and offers 2300-Lumens of bright light output. It measures 4.3-Inch x 6.3-Inch x 4.9-Inch. It comes with 2-m lead wire for easy installation. This IP65 rated light withstands temperature range of -22 to 176 deg F. Flood light is ETL listed and US compliant.